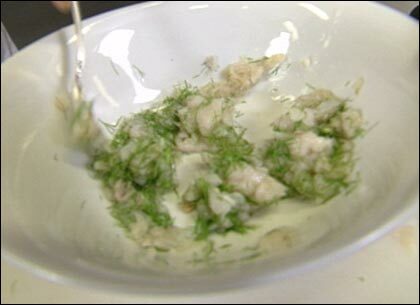 Chop the scallops into small pieces and mix them with the shallots, 1 tablespoon dill, and lemon juice. Add salt and pepper to taste. Refrigerate the mixture for 30 to 45 minutes. Add the olive oil. Cut the smoked trout into small slices. Place the scallop mixture on the trout slices and gently roll them. 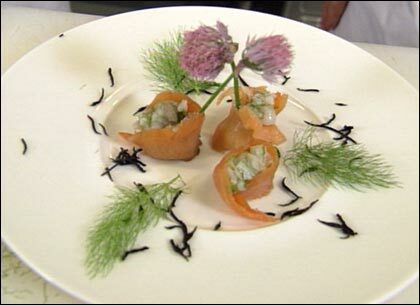 Garnish with a few pinches of dill and Hijiki seaweed and serve. This segment appears in show #2818.